The background color is very essential for everything. Suppose you have created something but you could not put background color when you're in VB and it will be fed-up. 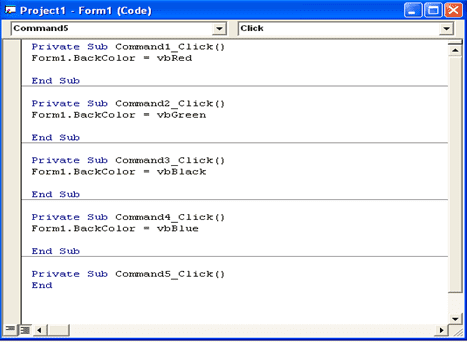 So, for your better program in Visual Basic, we are going to discuss on Color Handling for Visual Basic 6.0 for background color program. 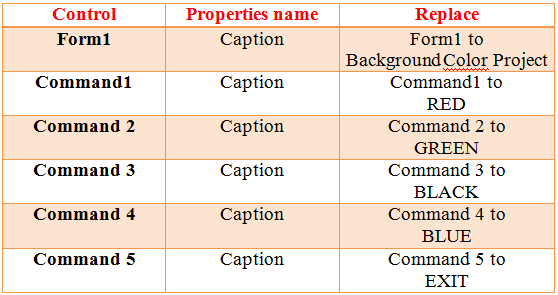 Then replace ‘Command1’ to ‘RED’ from Properties Window. 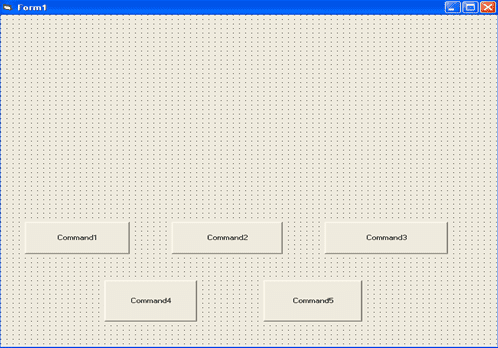 Then replace ‘Command 2’ to ‘GREEN’ from Properties Window. Then replace ‘Command 3’ to ‘BLACK’ from Properties Window. Then replace ‘Command 4’ to ‘BLUE’ from Properties Window. 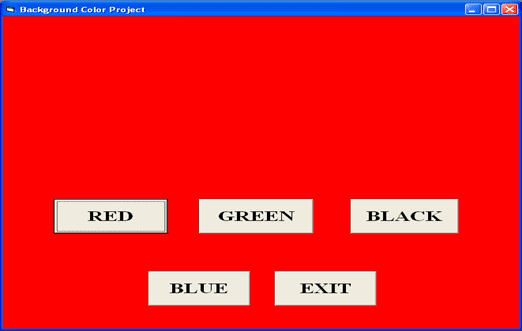 Then click on ‘RED’/ ‘GREEN’/ ‘BLACK’/ ‘BLUE’ box and display Background Color. Then click on ‘Exit Button’ for close the result window. 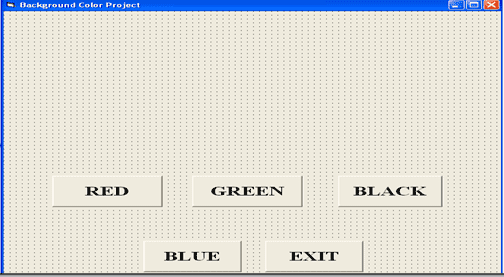 So this is the simple way to create a program in VB to insert window Background color.